Cachuma Lake at Bradbury Dam, September 2013. The reservoir is well below the floodgates and currently less than half full. It seldom rains in Santa Barbara. 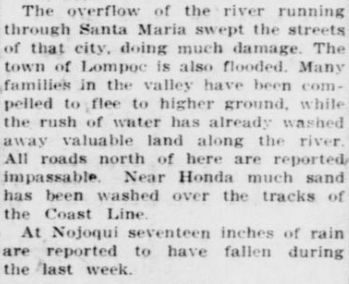 “Probably the most striking feature of Santa Barbara County,” a story published in the Los Angeles Herald in 1897 notes, “is absence of rain during most of the year.” The lack of rain has been particularly acute the last two years. Santa Barbara county-wide precipitation last season measured in at 46 percent of normal marking the second consecutive water year of below normal rainfall. The lack of precipitation at Gibraltar Dam set a record low beating out the previous record set in the 2006-07 water year, which is measured September 1 to August 31. Current capacity at Gibraltar Reservoir is a measly seven percent. Yet, as Santa Barbara County Water Agency manager, Matt Naftaly, noted earlier this year of the current dryness, “this is a normal fluctuation.” It may not rain often, but when it does sometimes it really does! Despite the current droughty conditions, over the last fourteen seasons the county-wide rainfall total amounts to about 95 percent of normal for the period. 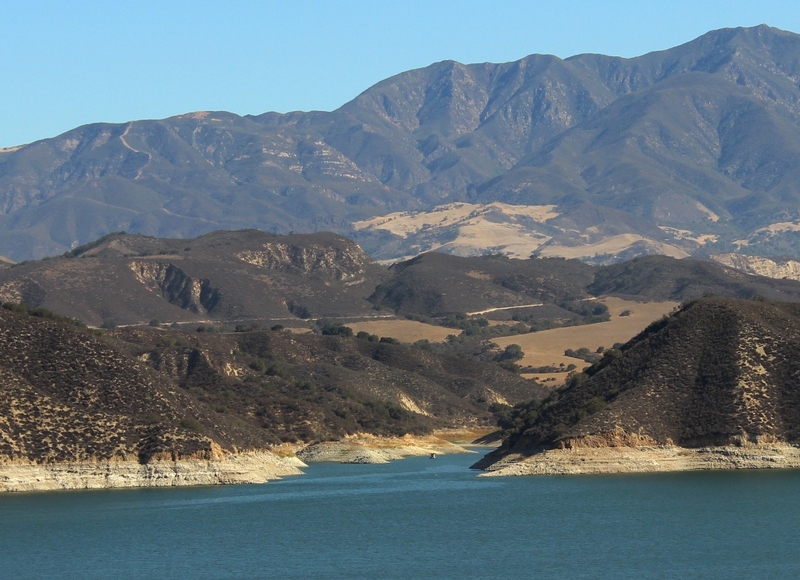 The east end of Cachuma Lake is currently dry. 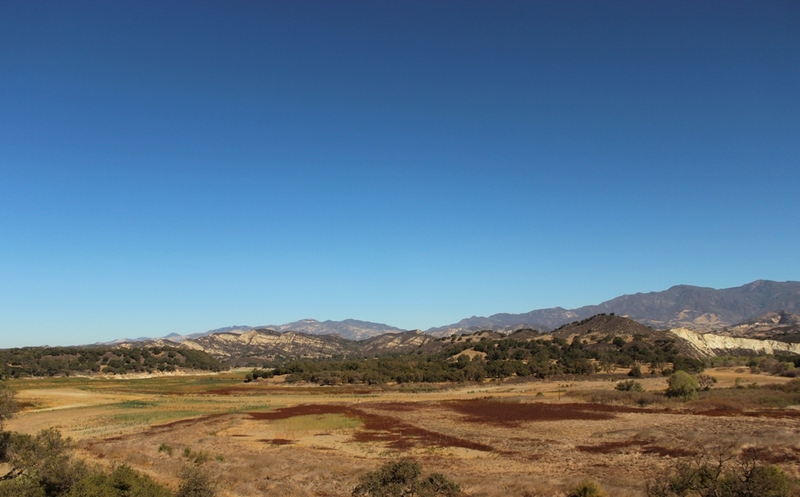 The pioneers of the Sisquoc River, a watershed in the Santa Barbara County backcountry, were driven out of the area in large part due to the hardship caused from the cycle of deluge and drought characteristic of the region. Newspaper articles from the nineteenth and twentieth centuries chronicle the dramatic ebb and flow of precipitation through the years. San Francisco Call, January 28, 1904: Arizona Republican, March 08, 1911: About 150 years ago, a severe drought reshaped the socioeconomic landscape of Santa Barbara County ending forever the era of large cattle ranches, and helping usher in a new period of smaller landowners and development. The returning [Civil War] soldiers found in Santa Barbara and in the other cow counties of the south a problem of rehabilitation more serious perhaps than Southern California was ever again to know. The stark, hot hand of drouth had, during their service in 1864, swept over the Southland, destroying the herds and bringing to a tragic close the pastoral life of old California. 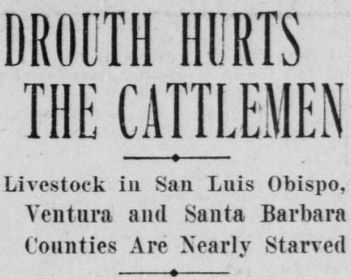 Over two hundred thousand cattle had measured the wealth of Santa Barbara in 1863. Less than five thousand head were alive to munch at the grass that sprouted after the rains came in the winter of the following year. The day of the native California land barons was brought to a close. The entire economic life of Southern California was altered. Cattle raising as the distinctive industry of the Southland was ended forever, and range lands fell so low in value that some of the southern counties assessed them at 10 cents an acre. It meant the beginning of partition of the great ranchos. 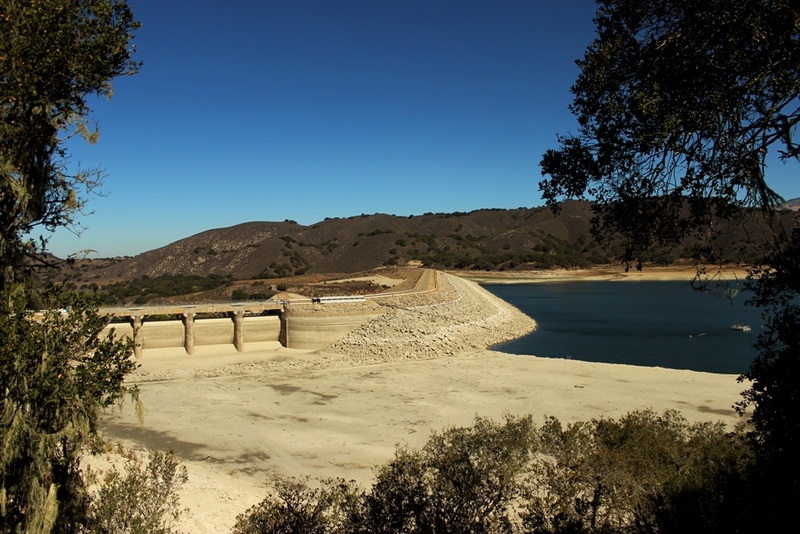 The full capacity waterline is high and dry at Cachuma Lake. Growing up in Santa Barbara I had the drought conscious water saving mantra, “If it’s yellow let it mellow, if it’s brown flush it down,” burned into my brain as a boy. People use to, and some still do, paint their lawns green or replace them with artificial turf. The other side of the climatic coin included the torrential rains of El Nino years, the flooding, mudslides, road washouts, and big surf and deep snow. The yo-yo back and forth between the extremes of deluge and drought can leave the Los Padres National Forest lush one season and desiccated the next. Some years it’s possible to hike deep into the hinterlands throughout summer with little concern about hydration, as streams and springs flow. Other years lack of water severely limits hiking options for all but the most hardy and determined trekkers. Heading into the new water year, with the last two seasons of below normal precipitation and resulting current drought conditions, much may hinge on what does or does not fall from the clouds this winter. This entry was posted in Santa Barbara and tagged Backpacking, Cachuma Lake, Camping, Drought, Hiking, Los Padres National Forest, Nature, Photos, Precipitation, Rain, Writing. Bookmark the permalink. When State water came in those of us who were born here saw the writing on the wall, loss of open spaces and freely issued building permits. I remember telling a friend who voted for State water “be careful what you ask for.” Look at all the stupid development, how about the new mega project by Trudy Carey on Hope Ave? Maybe Santa Barbaran’s should re-evaluate and think about what’s important? How about the mans ionization of the Gaviota coast? When is enough enough?